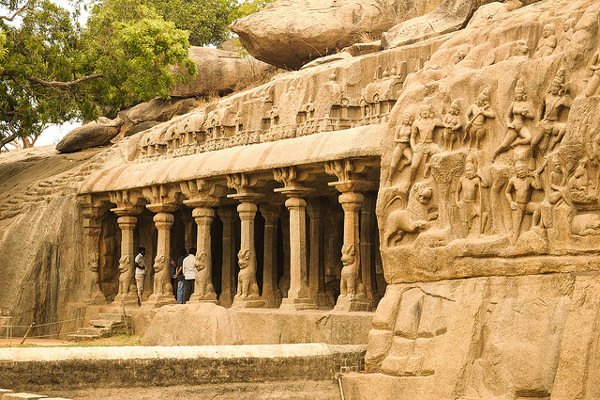 Day 02: Bangalore – Mysore: Morning enjoy the half day sightseeing tour of Bangalore. Later you will be driven to Mysore. If interested and if time allows, you may visit the interesting ‘Lacquerware Craft Complex’ on Tatekere road on the way. 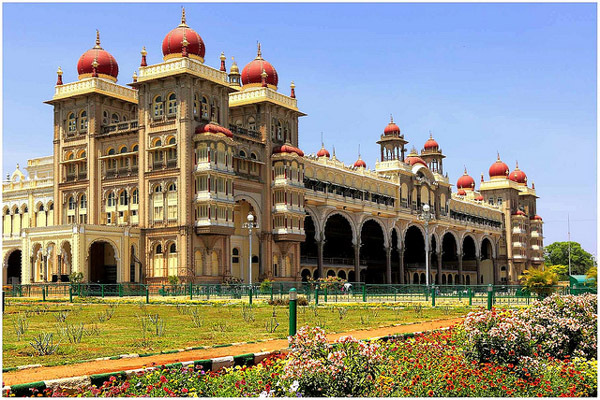 Finally, reach to Mysore- the legendary city of palaces, sandalwood, perfumes and jasmine… and check in at your hotel. Evening enjoy the visit to Brindavan Gardens. Day 03: Mysore: Post breakfast proceed for a sightseeing tour of Mysore city, which includes your visit to Mysore Palace, Chamundi Hills and Mysore Zoo. You may visit Karnataka Silk Industries Corporation during the evening. Stay overnight at your hotel. Day 04: Mysore – Nagarhole National Park: Morning enjoy a visit to the very colourful ‘Devraja Flower Market’. Post breakfast, checkout from your hotel and you will be transferred straight to Nagarhole National Park. On arrival, check in at unique Kabini River Lodge. After brief leisure proceed for your first jungle safari in an open jeep into Nagarhole National Park. Post safari, return back to your resort and enjoy a wildlife movie followed by dinner. Stay overnight at your wildlife resort. Day 05: Nagarhole National Park: Early morning after tea/coffee proceed for another jeep safari to track the wildlife of Nagarhole National Park, also have a ride on the elephant in the jungle. After safari return back to your hotel and enjoy late breakfast. 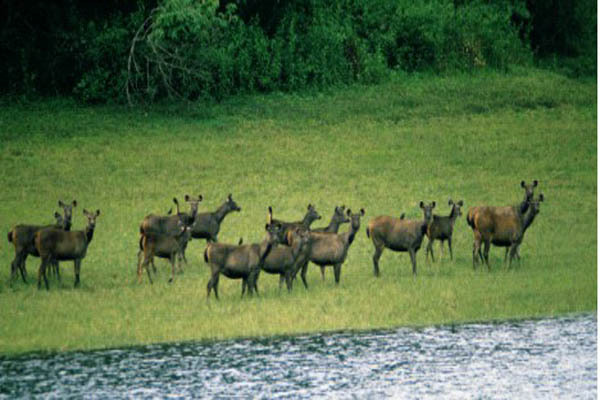 After lunch and brief leisure, proceed for a trip through the serene backwaters of the Kabini River on a motor boat. You will get to see a variety of wildlife and birdlife during this boat ride. Stay overnight at your wildlife resort. Day 07: Bandipur – Ooty: Early morning after tea/coffee proceed for a hiking trip into the wildlife park for bird watching and wildlife tracking. Post breakfast checkout and you will be transferred to your hotel in Ooty- one of India’s best known Hill stations of India. Day is kept at leisure or you may visit the film shooting points. Day 08: Ooty: Morning proceed for the fun-filled toy train ride experiencing the beauty of Nilgiri Hills. During the day visit the Tea Gardens, Dolphin’s Nose, Sim’s Park and other attractions. Stay overnight at your hotel. Day 09: Munnar: Morning after breakfast proceed towards Munnar, undoubtedly one among the most famous destinations of Kerala. Enjoy your days in sprawling tea plantations, pristine valleys and mountains of the lofty Western ghats. 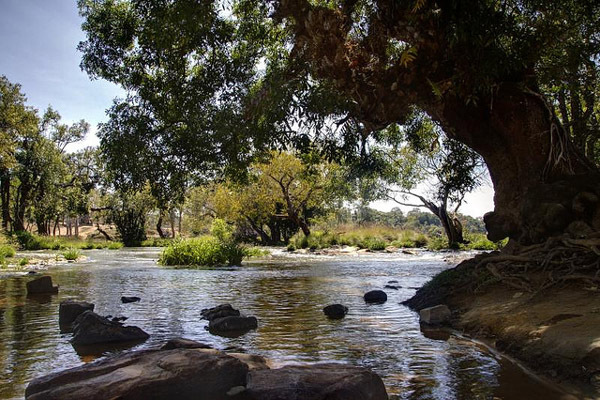 You may also visit Spice Plantations and some waterfalls on the way. On arrival at Munnar, check-in at your hotel. Remaining time is at leisure till next morning. Day 11: Periyar Tiger Reserve: Morning after breakfast proceed to Thekkady which offers diverse attractions like Periyar Wildlife Sanctuary, Hill Station and Spice Plantations. After checking in & brief leisure, proceed for a wildlife cruise over Periyar Lake to view an amazing variety of birds, animals, flora and fauna. 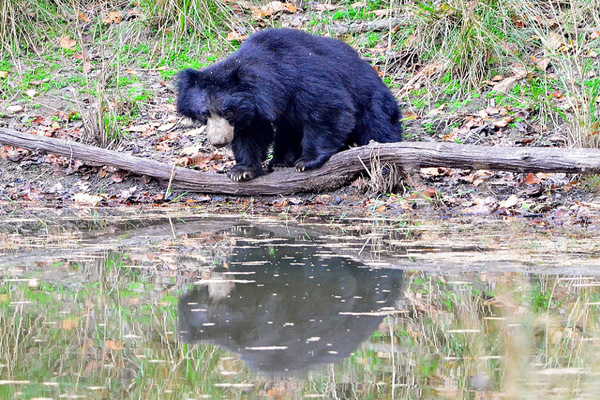 If lucky you may get to see Wild Elephants, Nilgiri Langur, Sambar Deer, Wild Bison and Wild Boar etc. Stay overnight at your hotel. Day 12: Periyar Tiger Reserve: Early morning proceed for an Elephant ride in the periphery of the jungle. Also enjoy a guided tour to spice plantations. You may enjoy optional activities like Bamboo Rafting, Trekking, Jeep safari, tribal tour and hiking inside the jungle during the day. In the late evening you have an option to enjoy a night patrolling inside the jungle. Day 13: Houseboat: Morning checkout and you will be transferred straight to Kumarakom jetty point to embark in your beautifully decorated houseboat (Kettuvallam). From here you will begin your journey through enchanting backwaters. 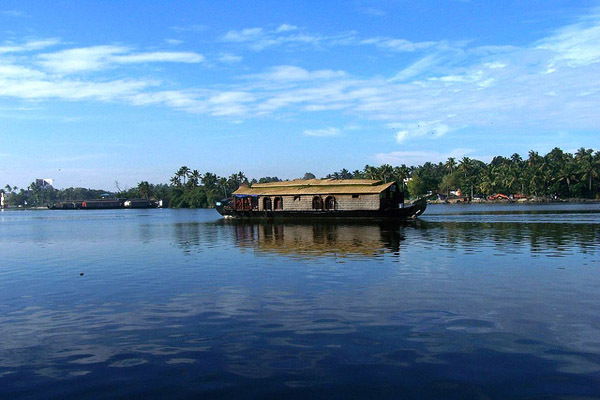 The houseboat cruise in backwaters is among the most exciting tourism products of Kerala. Since Kerala has large stretches of backwaters with plenty of natural sceneries (but only few interesting monuments for sightseeing), sailing through the houseboat makes it a wonderful experience. Enjoy the day sailing through the narrow emerald backwater canals of Kumarakom/Alleppey. Stay overnight in your luxury houseboat. Day 14: Kochi: Morning you will be driven to reach Kochi. Later visit the major tourist attractions of Kochi viz. Chinese Fishing Nets, St. Francis Church, Santa Cruz Basilica, Jewish Synagogue, and Mattancherry Palace/Dutch Palace. Stay overnight at your hotel. Day 15: Departure: At appropriate time you will be transferred to Kochi airport for your onward journey. The tour ends.